Brad Fiscus has been in ministry with teenagers since 1985. He is the Director of Next Gen Discipleship in the Tennessee Conference of The United Methodist Church. The mission of Next Gen Discipleship is to assist the local church in increasing their capacity to build disciples through ministry with adults, children, youth, young adults, college students, and family systems. Additionally, he serves as a Staff Consultant with Ministry Architects. Prior to entering professional ministry, Brad enjoyed a career in public education teaching both middle and high school science. In addition to teaching, Brad was a successful football and wrestling coach, and leadership development trainer. Between his time in public education and professional ministry, Brad had the great opportunity to be a stay-at-home dad for 4 years. It was during this time that Brad discovered his artistic ability for creating Stained Glass art. His art can be found in homes and churches throughout the United States. His time immersed in art, scripture and parenting helped him realize his calling to full-time professional ministry. He has a passion for equipping and empowering leaders to live and lead through their relationship with Jesus Christ. In addition to his role with the Tennessee Conference, Brad serves as the lead trainer for Boundaries and Sexual Ethics as well as Safe Sanctuaries for both clergy and laity. He works directly with the Tennessee Conference Board of Higher Education and Campus Ministry to assist the eight campus ministries and their leadership teams. His experience in public education and local church ministry has uniquely equipped him for conference and jurisdictional leadership. Brad has been a contributing author to Group Magazine and Faith Trust Institute. 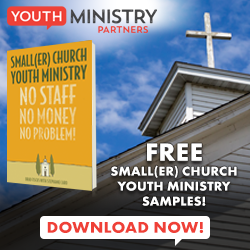 Brad’s newest work called Small(er) Church Youth Ministry: No Staff, No Money, No Problem was co-authored with Stephanie Caro for Youth Ministry Partners a division of the United Methodist Publishing House. He and his wife, Shelley, have been married for 27 years and are the parents of two teenagers. Stephanie Caro has been involved in ministry to children, youth, and adults in the local church since…a long time. Her humorous, straightforward style keeps her busy presenting and coaching at conferences, training events, camps, mission trips, retreats, churches, etc. She is Senior Consultant for Ministry Architects, which allows her to help churches assess, vision, and formulate their ministry game plan. Her books, Thriving Youth Ministry in Smaller Churches and 99 Thoughts for the Smaller Church Youth Worker, were published by Group/Simply Youth Ministry. Her latest book, Smaller Church Youth Ministry: No Staff, No Money, No Problem, was published by Cokesbury in the fall of 2016. Her next book, Ten Solutions (to 10 Common Mistakes in Small Churches), comes out in 2017. Stephanie is a contributing author to several ministry resources like YouthWorker Journal in addition to her regular column “Smaller Church Youth Ministry” in Group Magazine. 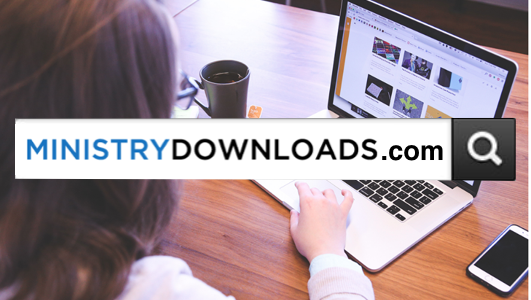 Check out Stephanie’s blog, part of the #1 read youth ministry blog network, youthministry.com from Simply Youth Ministry/Group Publishing. She also blogs for youthspecialties.com, Princeton Theological Seminary, and others. Stephanie and her husband, Steve, live in Houston, TX. Their 7 children are all grown! Check out some great resource partners.